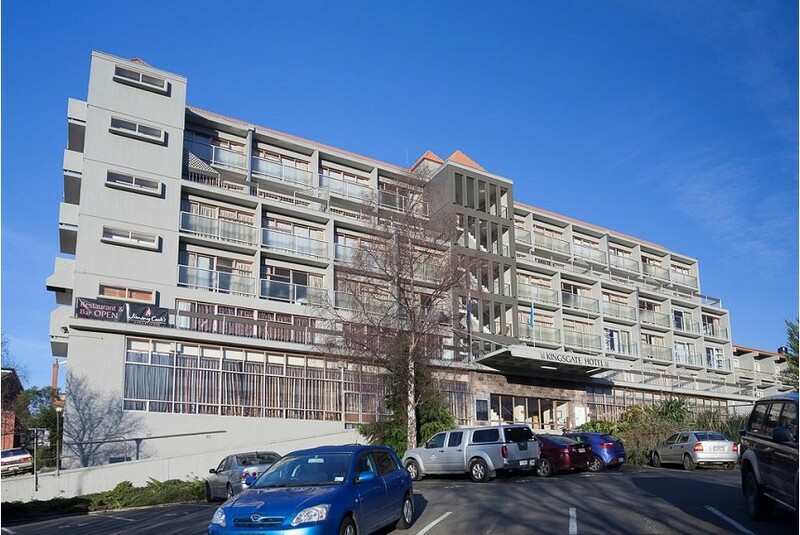 Centrally located in Dunedin, the Kingsgate Hotel is a 3.5 star property offering spacious accommodation close to the city centre. Guests receive 2GB of free WiFi per day. Extra WiFi is available for an additional charge. Parking is subject to availability due to limited spaces. The hotel offers 55 comfortable rooms with a private balcony. Guests can choose between the large standard rooms or spacious suites with separate sleeping and living areas. Each room has a modern en suite bathroom. The hotel’s restaurant ‘Jimmy Cook’s Kiwi Kitchen’ is open daily for breakfast and dinners and offers a great selection of traditional New Zealand cuisine. All guests at the Kingsgate receive free access to the local indoor heated swimming pool and fitness centre, 5 minutes' drive from the hotel. Kingsgate Hotel Dunedin is a short walk from the city centre; Otago Museum is a 15-minute walk away.